It is my great pleasure to warmly welcome you to the reception marking the 61st anniversary of the founding of the People's Republic of China. China has a history of 5 thousand years, yet the People's Republic is still young. 61 years ago, Chairman Mao Zedong proudly proclaimed to the world that the Chinese people have stood up. Today on this special occasion, as we look at the modern country that China has become, our hearts are full of emotions. Our country has come a long way in the past 61 years. -- China has achieved fast economic growth. Especially since reform and opening-up 32 years ago, we have witnessed an annual growth of 10%. China has become the second largest economy in the world, with its people's living standards much improved. In just over 3 decades, 250 million people have been lifted out of poverty. -- China has also made great progress in human rights. The Chinese government places high importance on the promotion and protection of human rights. It works hard to build democracy and the rule of law. And by upholding social justice and equity, China is trying hard to create conditions for its people to enjoy freedom and all-round development. We are committed to expanding and improving education, medical care and social security, so that every Chinese will be able to benefit from the country's economic growth. -- The Chinese society is more open than ever before. The successes of the Beijing Olympics and the Shanghai World Expo have brought China and the world closer together, through the exchange of ideas and culture, resulting in greater mutual understanding. And with over 57 million people visiting the Shanghai World Expo so far, the barriers and misunderstanding that exist will continue to be broken down. -- China is an important force for world peace and common development. 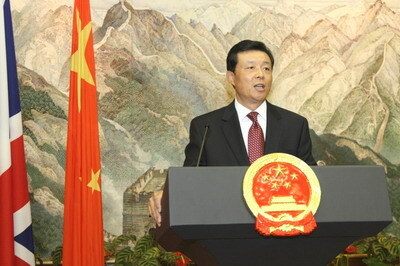 China is committed to peaceful development and mutual benefit in its foreign policy. It believes that security comes from mutual trust, mutual benefit, equality and coordination. It engages in active cooperation with other countries as a responsible player, prepared to share opportunities and jointly meet challenges. We are proud of China's development, as it embodies the hard work and pioneering spirit of the Chinese people, and is a huge achievement in the history of mankind. But we are also keenly aware that China is still a developing country with a huge population and faces many complex challenges. China is still less developed in many aspects. its per capita GDP ranks behind 100 other countries in the world, and only accounts for one tenth of that of the UK. According to the UN standard, 150 million people in China still live in poverty. China's development is constrained by its population, resources and the environment. It lacks international competitiveness in many industries and urgently needs to move up the value chain. The figures speak for themselves: China has to sell 800 million shirts in order to buy one Airbus plane. China also suffers from uneven development between its rural and urban areas. The world we live in is constantly changing, where you see different things, old and new, advanced and less developed, opportunities and challenges. These days people often ask how China sustains its development and where it is heading. As Premier Wen Jiabao answered these questions at the UN General Assembly, China will continue with reform, opening-up and peaceful development. We will focus on economic development, work hard to upgrade our growth pattern and restructure our economy to ensure that our growth is balanced and sustainable; we will deepen the reforms to our economic and political systems; and we will open wider to the world following a strategy of mutual benefit. What I have seen and heard since I came to this country has taught me that China and the UK have much more to unite us than to divide us. We differ in social systems, cultural heritage and level of development. But these differences are outweighed by the similar ideas we share about economic and social development. Our business, educational and scientific cooperation are thriving. We also have extensive common interests in international affairs. Our relations are becoming increasingly strategic, global and mutually beneficial. A strong China-UK relationship not only serves the fundamental interests of our two peoples, but also contributes significantly to world peace and prosperity. I am glad to see that the coalition government continues to give priority to the UK's relations with China and advocates enhanced cooperation in many areas. We in China are ready to work with Britain to strengthen mutual trust, deepen cooperation in all areas, to increase mutual understanding and raise our relations to a new level. We look forward to Prime Minister Cameron's first official visit to China later this year. We are confident that as long as we work together, our cooperation at all levels will be even more fruitful. The UK Pavilion at the Shanghai World Expo, nicknamed "dandelion" by the Chinese people, has more than 60 thousand fibre-optic rods, containing 260 thousand seeds from the Millennium Seed Bank project. This was jointly launched by the British Royal Botanic Gardens and the Kunming Institute of Botanical Sciences of Chinese Academy of Sciences. These seeds are symbols of hope, cooperation and friendship. 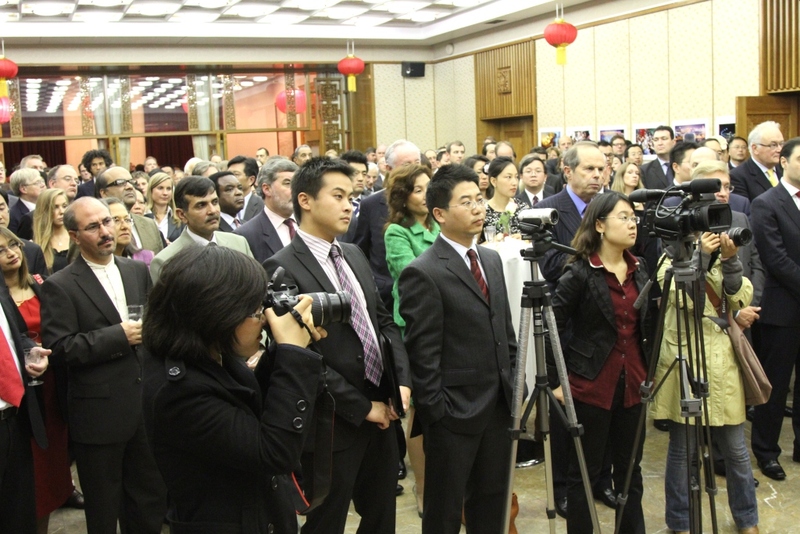 In about a month when the Expo comes to an end, the rods will be distributed to schools in different parts of China. Just like dandelion seeds flying in the wind, the rods will sow the seeds of China-UK friendship and cooperation in the hearts of our young people. These young people are the hope and the future of our relations.